Now past 30 years of age, I’ve accumulated a few pieces of wisdom: There’s no harm in packing sensible shoes, and staying hydrated makes life easier. I learned that last lesson when I lived in Phoenix, where I got into the habit of tethering a refillable water bottle to my body at all times. This practice has served me well even in post-desert life—and today there’s new research that explains why. But they’ll likely feel the effects. 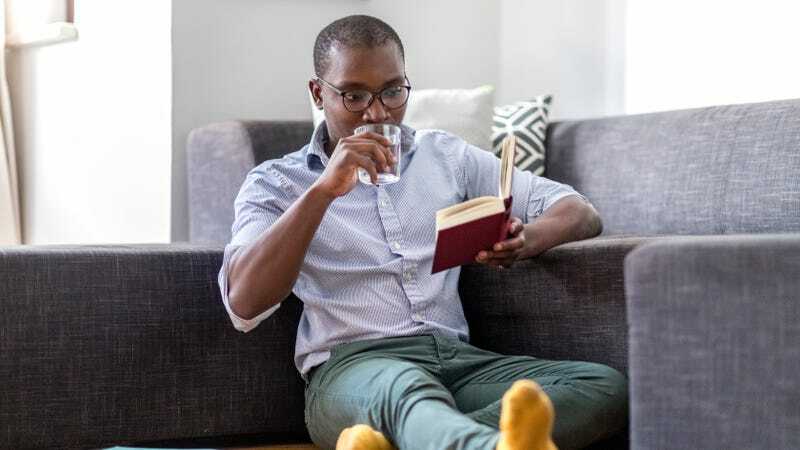 Research subjects who were mildly dehydrated performed poorly on cognitive tasks, especially complicated ones, when compared to their hydrated counterparts. Women who hadn’t drank much water before one experiment made 12 percent more errors in a complex card game than those who were properly hydrated. (Take note, thirsty gamblers.) In that, once the subjects drank more water, their performance improved back to baseline levels. The analysis is further reminder to drink fluids throughout the day, even if you don’t feel physically thirsty. And if you have an important work day ahead of you, best to fill that Nalgene to its top.